Around 80 people from the Mohali Senior Citizens’ Association joined hands with Fortisians to take part in a rally organized to ‘Save the Girl Child’. 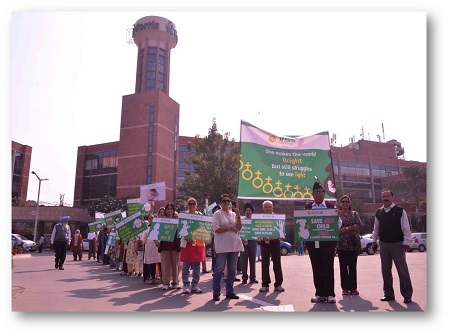 The rally was flagged off by Reij and Brahmlin, both 2-years old, and Mr Abhijit Singh, Facility Director, Fortis Mohali. The seniors marched off to the sounds of a bugle.